The 15 Most Unique Hotels in Arkansas! From local landmarks and historic places to castles, caves and treehouses, the Natural State is home to many unique hotel getaways and experiences. If you’re looking for a one-of-a-kind place to lay your head for a night or few, then check our favorite unique hotels in Arkansas. Minutes from the Buffalo National River is a 6,000-foot living cave resort that is uniquely nestled in the Ozark Mountains. For $1,600 per night guests can enjoy views of the mountains and the valley in this modern cave experience. Not only is the Crescent hospitality symbol in the Ozark Mountain region, but it is also America’s most haunted hotel. Formed from sightings and stories, legend has it that ghosts like the Irish stonemason, “Michael,” “The Girl in the Mist,” and “The Man in the Morgue” continue to haunt the hotel today. Overlooking the Petit Jean River Valley and Blue Mountain Lake, this 60-room mountaintop resort is located atop the highest point in Arkansas, Mount Magazine. This modern, yet rustic, lodge features first-class amenities throughout its three wings that stretch along the bluff. The Capital Hotel, a grand four story brick building, has been known as the “Grand Dame” of Little Rock’s downtown life for over a century. Opening in 1870 with indoor plumbing and heating, this hotel also introduced the United States’ first “magnetic annunciator” to call for room service. The Capital Hotel was placed on the National Register of Historic Places in 1977. Past and present meet at the Inn at the Mill in Springdale. The Inn takes its name from the Johnson Mill, which is listed on the Natural Register of Historic Places. The Inn at the Mill has been welcoming travelers from near and far since 1992. Located in America’s Spa City, this Hot Springs treasure first opened in 1875. Its long, rich history makes this Arkansas hotel a unique legend that must be experienced. Notorious mobster Al Capone’s favorite room at this luxurious hotel was 442, which overlooks the Southern Club (now the Wax Museum). This international destination has been part of the Arkansas Delta community since 1904 when it was built as a home for the William A. Short family. Among other things, it has served as a boarding house, an alcohol rehabilitation center, and an apartment building until 1983 when it was restored to a bed and breakfast. Designed by Arkansas architect Charles L. Thompson, Carnall Hall is one of six buildings funded in 1905 by the Arkansas Legislature. Named after the first female faculty member at the University of Arkansas, Miss Ella Howison Carnall, this historic place was the first women’s dormitory in the State of Arkansas. The Inn at Carnall Hall features 50 unique guest rooms and has enjoyed notable visits from guests like Robert Redford, President Bill Clinton, and His Holiness the 14th Dalai Lama. Named as Arkansas’s own “Garden of Eden” by Southern Living, this resort is nestled in the beautiful Arkansas Ozarks between Greers Ferry Lake and Mountain View. The Longbow Resort was born out a passion for archery from the “Father of Modern Archery,” Arkansas native Ben Pearson. Just a short five-minute drive from historic Eureka Springs you can “sleep out on a limb tonight” at The Grand Treehouse Resort. Built by the Green family, this resort has been listed as one of the top ten Treehouses on America’s Best. The Grand Treehouse Resort is an adults only destination. This adults-only resort has two locations in the Northwest Arkansas Ozarks, both of which are about two miles from the Historic Downtown Shopping District in Eureka Springs. 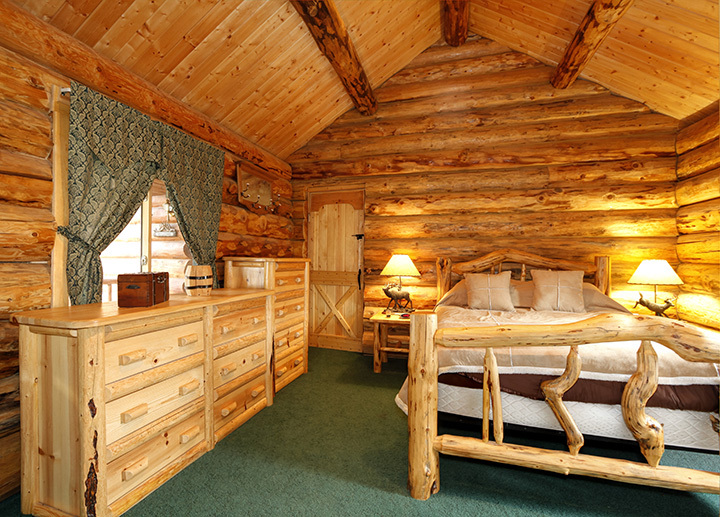 Guests can choose to stay in a treehouse, cave, or castle in this one-of-a-kind experience. This unique resort fills up fast so be prepared to put your name on the waiting list. Located at the famous courthouse square in Mountain View, this inn is at the heart of the Folk Music Capital of the World. Although this business traveler friendly B&B is listed on the National Historic Register, each guest room features modern amenities. The Palace Hotel in Eureka Springs was established in 1901 and has been serving the community for over 115 years. Once a bordello, this hotel and bathhouse was built to look like European castles with features rarely seen in North America. You’re sure to enjoy the old-world charm of this unique hotel! Located at 700 feet above Beaver Lake in Northwest Arkansas, this lodge is the highest point in Benton County. Just 20 minutes from Rogers and Bentonville, Whitney Mountain Lodge offers a peaceful destination with breathtaking views. Although this boutique hotel is part of a national chain each 21c hotel is also a museum, making each location unique. At 21c in Bentonville you will find a contemporary structure modeled after an award-winning flagship from Louisville, Kentucky. Check out the rotating exhibitions or grab a bite to eat at The Hive, the restaurant of chef and Arkansas native Matthew McClure.